Malaga is a port city in Andalusia, southern Spain, on the Costa del Sol coast of the Mediterranean. The inner city of Malaga is just behind the harbour. The quarters of El Perchel, La Trinidad and Lagunillas surround this centre. The city has much revenue from the agricultural sector and from tourism. The Holy Week, and the Malaga Fair ("Feria de Malaga") are the two most well-known of Malaga's festivals. The city is a popular tourist destination, due mainly to its proximity to the Costa del Sol. Many tourists also visit here to see the birthplace of Pablo Picasso. A popular walk leads up the hill to the Gibralfaro castle (a Parador), offering extensive views over the city. The castle is next to the Alcazaba, which in turn is next to the inner city of Malaga. 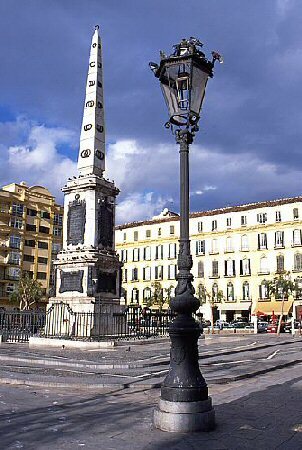 By taking the Paseo del Parque, a promenade that runs alongside a park with many palm trees and statues, one can walk to the harbour, finishing in Calle Larios the main commercial street of the city.